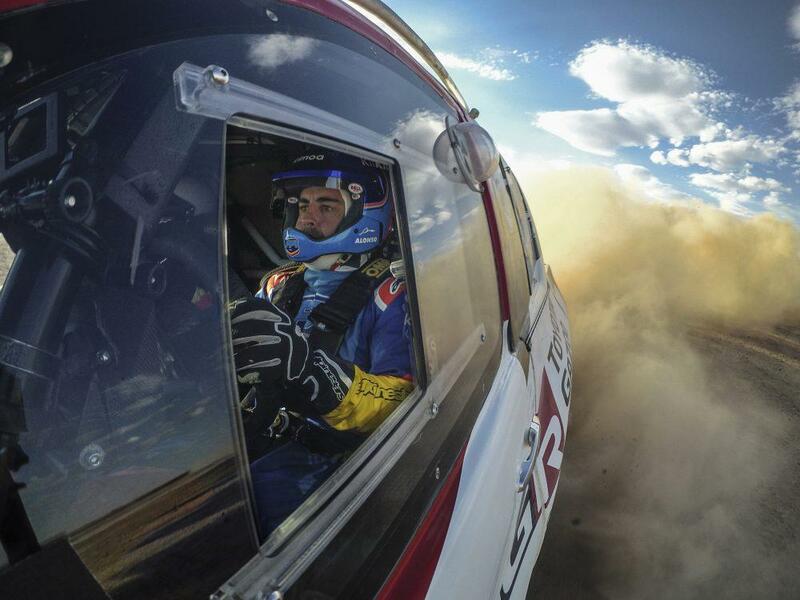 Alonso, who currently leads the FIA World Endurance Championship (WEC) drivers’ standings alongside team-mates Sébastien Buemi and Kazuki Nakajima, spent two days learning the specific demands of rally raid during an exclusive test in the Kalahari Desert. Toyota Gazoo Racing South Africa organised the test, in which Alonso tackled two routes in the Kalahari Desert, experiencing rally-raid driving for the first time. He was given expert guidance from Giniel de Villiers, a former Dakar winner and regular competitor for Toyota Gazoo Racing South Africa. The Toyota Hilux which won the 2019 Dakar Rally, in the hands of Nasser Al Attiyah and Mathieu Baumel, is powered by a five-litre V8 engine that produces 380hp and 620Nm of torque. Alonso commented: “I followed the Dakar and thanks to Toyota Gazoo Racing I had the opportunity to come to South Africa to test the Dakar-winning Hilux. I have tested different series and different cars this past couple of years and this was a great chance. “It has been fun; certainly different to what I am used to driving, but very interesting. We built up speed slowly, learning lap after lap. It’s not easy to read the bumps and to know how much speed to carry but I became more confident each time. Glyn Hall, Toyota Gazoo Racing South Africa team principal, said: “It has been a fantastic experience for the team to work with a driver of Fernando’s calibre. It’s easy to see why he has enjoyed so much success in circuit racing; he was very well prepared for this test and made a huge effort to learn as much as possible in the two days.